I loved staying at Maggie’s B&B. Several friends suggested that I stay in the Palermo area which is very nice, but I did not find the Subte (Metro) connections very good there and that is one thing I always look for when I travel – how close am I to city transportation hubs. 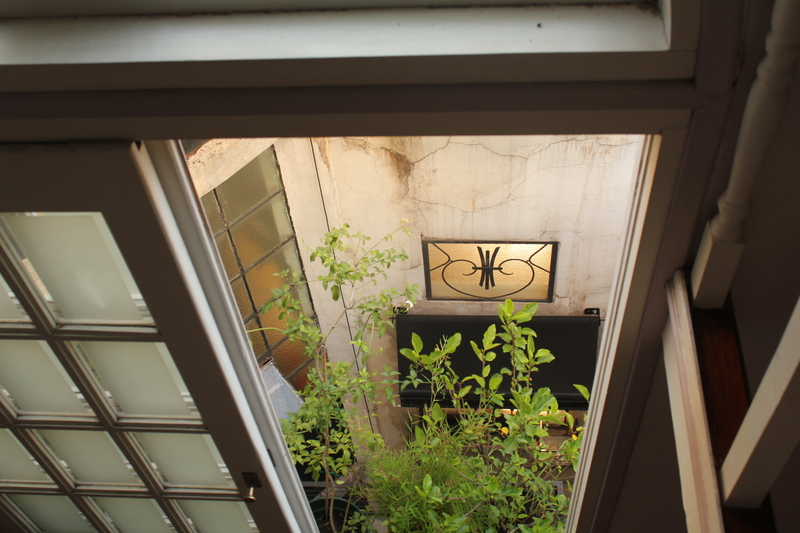 Maggie’s B&B is just a block and a half from Ave. de Mayo with easy access to walk most places – or take the Subte (more below). Maggie’s apartment is in an older building with a century-old elevator that reminded me of the one in the movie Thoroughly Modern Millie (although I do not think I would tap dance in it). The rooms were clean, bright and comfortable. Maggie is also very generous with information about Buenos Aires and helped me to acclimate to the city and how to get around it. Breakfasts were simple but good – I loved the homemade marmalade! Using skeleton keys was an interesting experience but I also like how it just added to the charm. Above all, Maggie is very warm and charming and I hope to stay there again on future visits to Buenos Aires – I do not think once is enough, especially since I planned my trip during a holiday weekend. What was I thinking! The Subte: The A Line runs underneath Ave. de Mayo and is an experience all to itself! 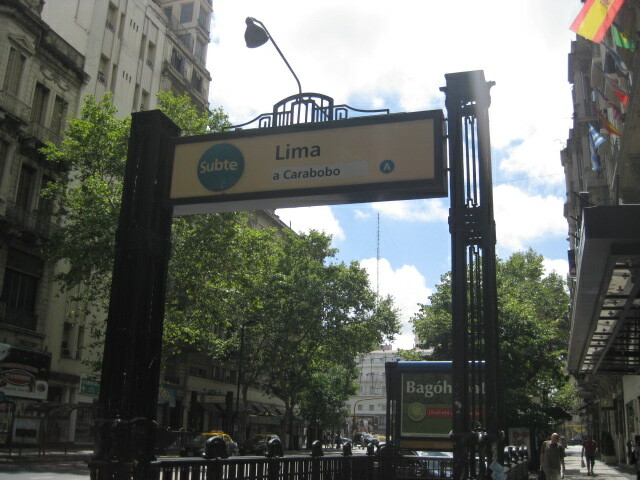 It still has the old, wooden cars that first ran along this line in 1913 – making it the oldest subway inLatin America. One thing to remember – the British built this line, so the trains’ direction is opposite the way traffic runs. I made this mistake, and had to get off, cross the street, and head in the “right” direction! Fortunately, the ticket takers helped me and I did not have to pay a second time (although the cost is $0.70 a ticket). Tango Shows: There are different forms of tango – the type performed at a tango show and the types performed in the milongas. Tango shows are really for tourists, however they are fun and I think a “must see” especially if you only have a few days to spare. I went to Piazzolla Tango. The space is beautiful – an old-style theatre with balcony box seats above the main floor. I was seated in the box seats with a couple fromSao Paulo,Brazil. This was my New Year’s Eve treat, so the show was a bit more expensive than it usually is. The food was ok – I have to say the steak I got was one of the largest pieces of meat I’ve ever seen on a plate! 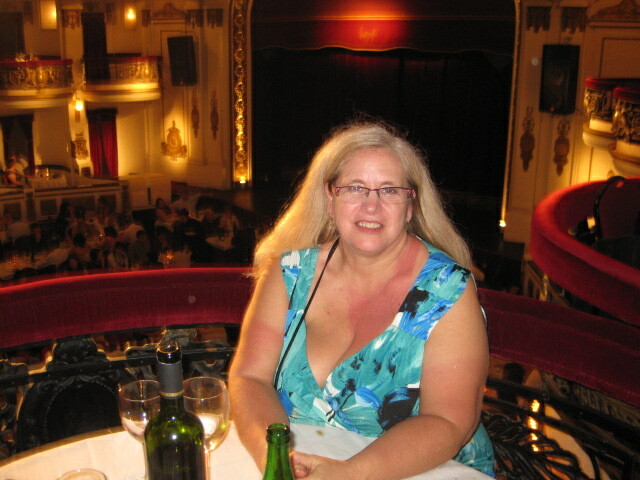 We also had a bottle of red wine on our table – and could have requested more. The desserts were great! We got one with dinner, and then there was a dessert table setup for the New Year’s party after the show. The show was wonderful – good performances from the dancers, the band and the singers. Personally, I want the dresses worn by the female singer – they would fit me perfectly! I also liked how she danced a bit, showing that sometimes the simplest tango is just as passionate as the “fancy” lifts. The Hop-on Hop-off bus: This can be a good option to get around Buenos Aires, especially to visit some areas that are not connected via the Subte and you are not up to figuring out the strange bus routes. That said, there are some things to help you make this a viable option. Buy your ticket online! You get a discount, you do not have to stand in line, and, if they are “full”, you are still guaranteed a spot. Some additional “tricks” if you have not bought a ticket online, go to the main stop (stop 0: at Diagonal Norte and Florida) to get a ticket – and if it is a weekend, go around 8:30. The service starts at 9 – and this should give you a good chance of getting on the bus and giving you a full day to “hop off” and see things. Or give you time to take the 3 hour tour then take a nice nap during the real heat of the day! The lines were very long and they were turning people away that first two days I was in Buenos Aires. The last day, I got up early and got on the second bus that starts at 9:30 – and by the time we go to the 6th stop at Caminito, they were turning people away who did not already have a ticket – even though there were spaces on the bus! I did enjoy the tour and I was able to see a few places that my walking just did not get me to! 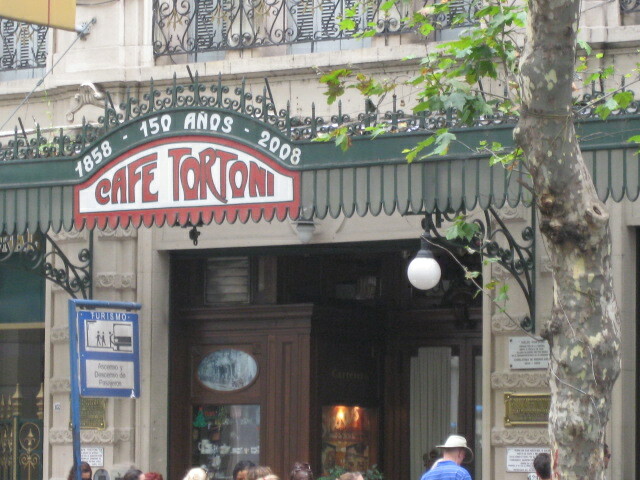 Cafe Tortoni is consider by many to be a must see place – however because of this, it can be hard to get into because of the long line of tourists waiting to get in to see the beautiful tiffany lamps, etc. However, go, it you do get a chance! It is a nice way to start the day and an easy walk down Ave. de Mayo to Casa Rosada (the Pink House) and the Plaza de Mayo. 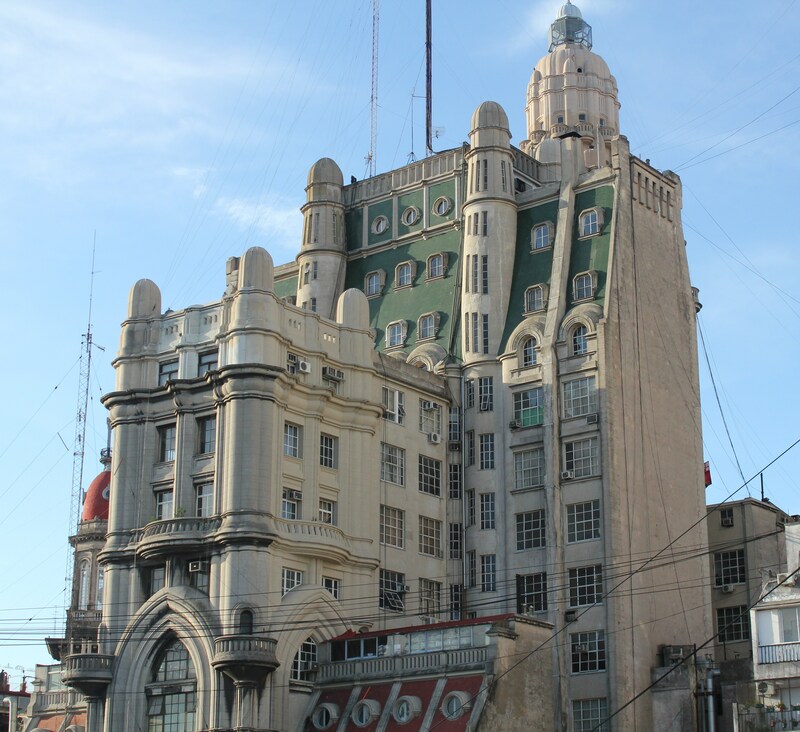 In fact, it is an easy walk from the Plaza de Mayo to the Plaza del Congresso – and there are a number of wonderful places to see along the way! Palacio Barolo Building – near the Saenz Pena Subte stop, Line A (or halfway between Plaza de Mayo and Plaza del Congresso) – is an amazing building but I found it difficult to take really good pictures of it from the from side. Fortunately for me, my room at Maggie’s gave me the best view and I have great pictures of the back! Want some peace and quiet in the midst of a busy city? 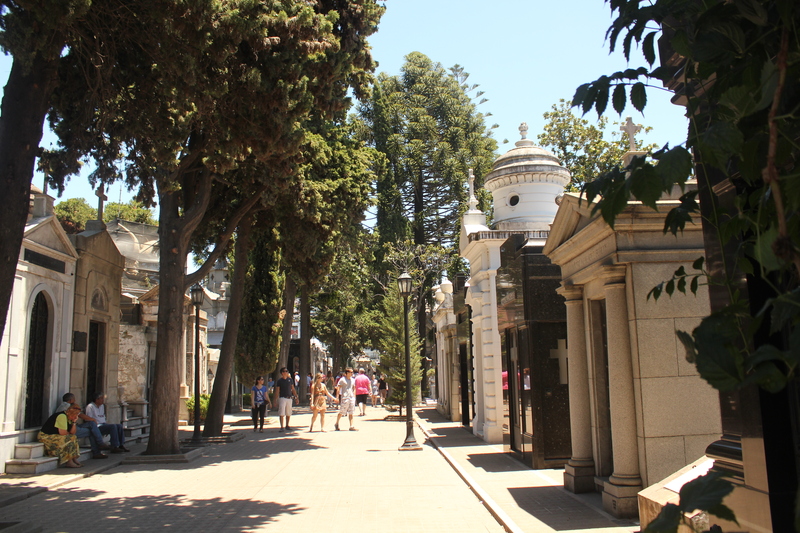 Head to Plaza Francia and its neighbouring attraction, the Recoleta Cemetery. I love my stroll through this space – then again I also loved strolling through Père Lachaise Cemetery inParis! Maybe I just have a thing for cemeteries with unique architecture! Regardless – this is a great place to see and the opportunities for great pictures are phenomenal! San Telmo and the Sunday Antiques Fair is a must-see! 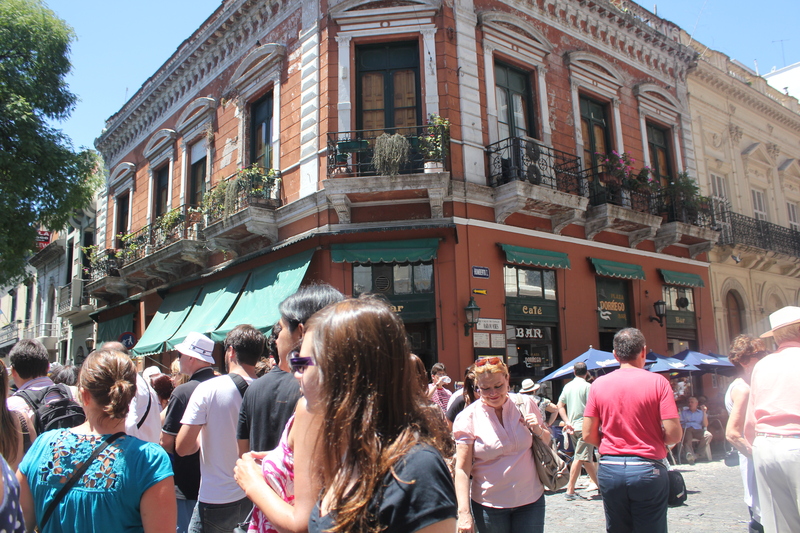 Expect crowds of people – but also expect the unexpected – music, tango dancing, gauchos, art – just get lost in the magic! More to come on my favourite things in Buenos Aires!